Kitties Don't Tan... They Fade! Enter to Win a Cute Disco Dot Cat Collar! 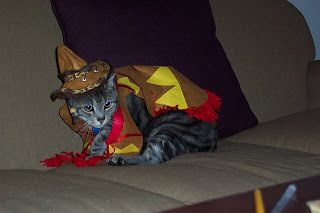 Pimp Dresses Up for Cinco de Mayo... Ole! Happy Cinco de Mayo: Doggie Fiesta! Big Cat, Big Box... Big Cute! We're so excited that our friends, The Creek Cats, have given us this award! Thank you! Cute is always excited to receive awards, and we're going to keep this one in our new "Awards" section. Maybe if we're lucky, we'll get some more! This award is to introduce new blogs to your readers. Here's what you do ~ Accept the award, post it on your blog together with the name of the person who has granted the award, and his or her blog link. 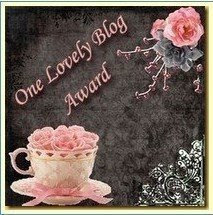 Pass the award to 15 or 5 (or a number in between)other blogs that you've newly discovered. Remember to contact the bloggers to let them know they have been chosen for this award. OK... Your Daily Cute would like to give the One Lovely Blog award to the following five fabulous blogs: Cats Who Twitter, The Maaaaa of Pricilla, Lou, Mama's Boy, Meow Diaries and The World According to Misha! A big MUA! from Cute to all of you! Burnsey's mom seems to think he talks to much, but we love it! Looove it! There's nothing cuter than a cat that will talk back to you, especially if it sounds so understanding, like he's really and truly having a conversation with you -- like Burnsey is! Now, have a conversation with Pineapple. This poor kitty is such trash! Well, he doesn't mean to be. He's just trying to wash up in the sink. But then... well... you'll see. A yummy puppy foot? You'll see... Just get a little into the video -- so cute! More doggie & kitty friends, please. *Special thanks to our Twitter friend DSWPets for passing this one on! When you watch the video, you'll see one of the ladies says, "They look like two old men" -- and it's so true! Too bad his dancing partner looks like more of a wallflower than a dancer... Cute! This contest has ended. 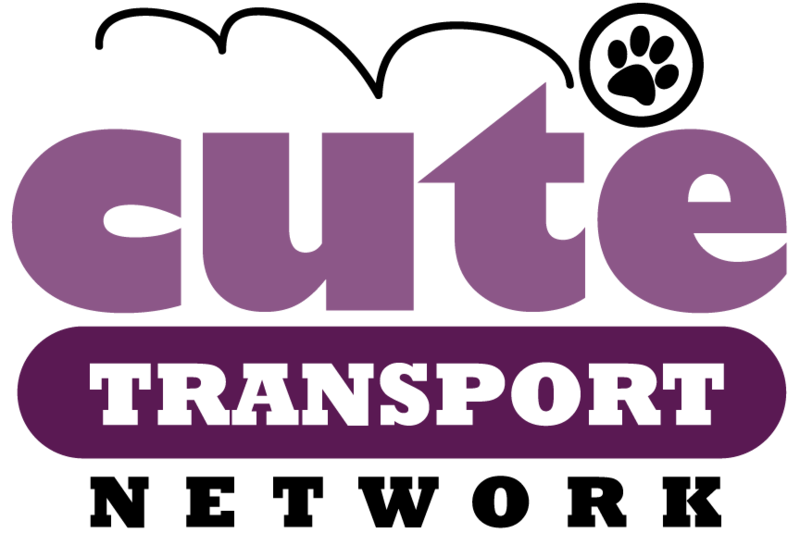 Please check back for more fun giveaways from Your Daily Cute! 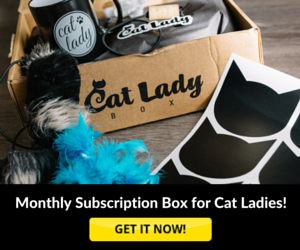 Your Daily Cute is excited to announce the first of many free giveaways for our readers! We love having you around, so we want to give you stuff you love! Our first fabulous contest is for a Disco Dot cat collar, courtesy of TheModernPet.com. 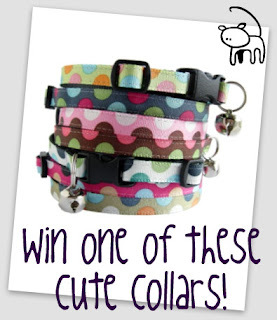 These fun and playful collars come in a variety of colors -- and you even get to pick which one you'd like to win! 2. Leave a comment on this post with your Twitter name and which color style you'd like to get if you win (from top to bottom: Mint, Varsity, Cotton Candy, Parfait, Sea Breeze, Good + Plenty, Martini). Contest ends May 17 at midnight EST. Winner will be chosen at random by a very scientific method: We'll print out the list of blog comments and lay them on the floor. 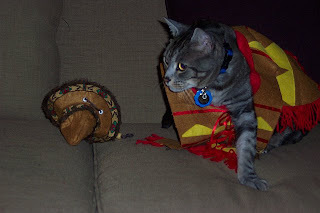 The first comment my cat Pimp steps on is the winner! Check back on YourDailyCute.com on May 18 to see if you won! Good luck to everyone! 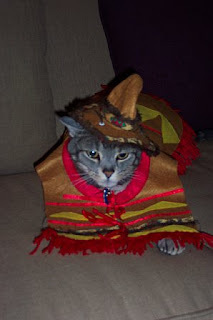 To celebrate Cinco de Mayo, my cat Pimp is wearing his Mexican bandito costume, complete with sombrero and poncho! Ah! Success! Moooooommmmm... get the rest off! 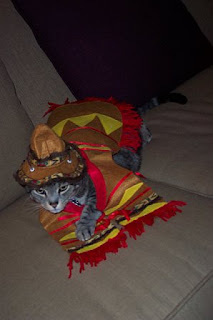 Pimp deserves a meowgarita for putting up with all this! These cool dogs are celebrating Cinco de Mayo like true party animals! They eat tacos, play games, dress up... the whole nine yards! Grab your barkaritas (frozen or on the rocks, you pick) and join them! Ole! Some cute baby duckies to start your morning! And what makes them even cuter? They're in New York City -- there's nothing like a bunch of cuddly, sweet little duckies to break up the hustle and bustle of the city. Enjoy the love. How about 5,000 more duckies, please. This is Maru -- the same cat from Cat in the Box fame. He's back at it with the boxes, but this time he's picked a bigger opponent. For him, no box is too big or too small to get in. Where there's a will, there's a way... (and keep watching -- the funniest is part is him jumping out of the box). 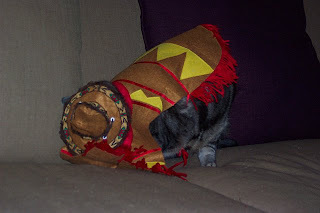 His other antics: Fat Cat in a Little Box and I'd Rather Have a Bag on My Head. Enjoy! This funny squirrel must be expecting a package... Maybe he ordered some nuts online or it's his birthday or something. Either way, poor thing's probably just wasting his time. You know it's usually just junk mail in there. I guess this is a compliment to the artist: If your cat thinks your cat painting looks so real that he's a little scared to go near it, it must be really well done! Look, man... that fluffy squirrel is hogging all the peanuts. Not fair! Maybe if we just (sniff, sniff) sneak up on it we can steal some. Yeah, let me try th -- WHOA! What was that?!?! Kung-fu squirrel smackdown!